Pain and discomfort caused by a bulging disc or pinched nerve can make exercise, basic movements, and even sleeping difficult. For spinal issues like this, consider spinal decompression from the team at River Oaks Chiropractic Clinic in Fort Worth, Texas. Spinal decompression is a gentle, noninvasive therapy to relieve muscle tension and stiffness in the spine while taking pressure off of sensitive discs and nerves. Learn more about the benefits of spinal decompression by calling the office today. Spinal decompression is a nonsurgical therapy used to improve range of motion in the spine and take pressure off of irritated discs and nerves. Spinal decompression uses a specialized treatment table to gently traction your spine which provides your muscles and ligaments with a comfortable stretch and opens up the space between your spinal joints where intervertebral discs and nerves might be pinched or compressed. Spinal decompression works in several ways. First, gentle traction provides relief from muscles spasms and whiplash that are causing stiffness and decreased range of motion in your spine. Second, this traction increases the space between the vertebrae in your spine in order to take pressure off of bulging discs and pinched nerves. Third, spinal decompression increases blood flow to the spinal muscles and intervertebral discs. The discs in your spine contain large portions of fluid which receive blood flow from small blood vessels around your spinal column. As spinal decompression is performed, blood flow to your discs increases, which improves hydration and can help bulging or herniated discs to heal. What conditions can benefit from spinal decompression? The team determines if you’re a candidate for spinal decompression based on your consultation and physical exam. X-rays or an MRI might be done if a disc herniation is suspected. Spinal decompression involves lying on your back on a comfortable, padded table. Your provider places a belt around your waist and attaches a cord from the belt to a strap between your feet. As the traction function of the table is turned on, you’ll feel a gentle pulling on the belt at your waist as the table lengthens and stretches your feet away from you. Most people describe traction as a comfortable, mild stretch. It is performed for 20-40 minutes and once you’re done, your provider removes the belt and cord so you can stand up. You can feel a bit unstable when you first get off of the table, though that feeling goes away within a few minutes. 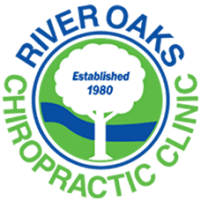 To find out if spinal decompression is right for you, call River Oaks Chiropractic Clinic or schedule a consultation online now.